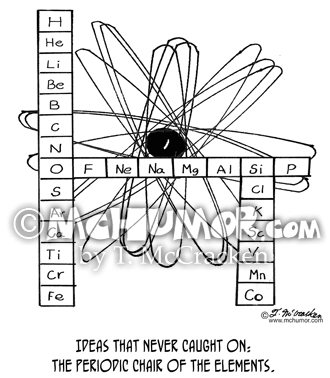 Chemistry Cartoon 4573: "Free Radicals." 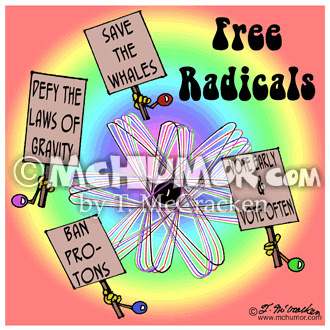 Atoms carry picket signs that say, "Ban Protons," "Defy the Laws of Gravity," "Save the Whales," and "Vote Early & Vote Often." 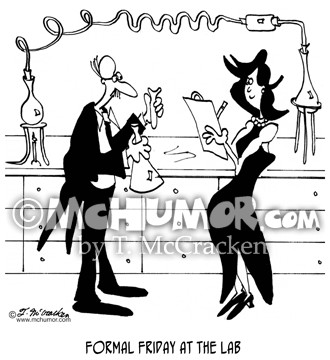 Lab Cartoon 6739: "Formal Friday at The Lab." 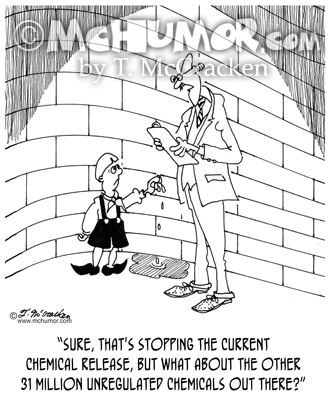 Scientists wear tuxedos and evening gowns. 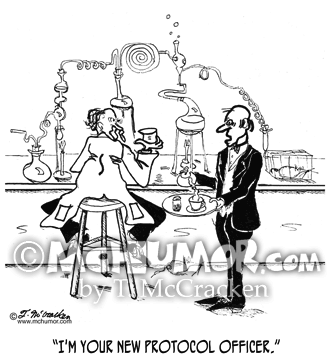 Lab Cartoon 2007: "Obnoxious Fumes." 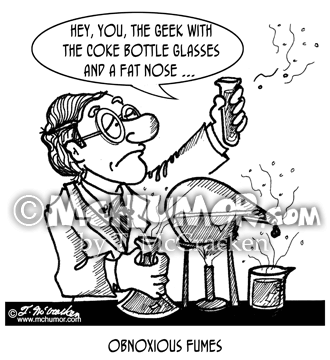 Snide comments come out of a test tube, "Hey, you, the geek with the Coke bottle glasses and a fat nose ..."
Model Cartoon 8558: "It finally happened, models so thin they only consist of few molecules." 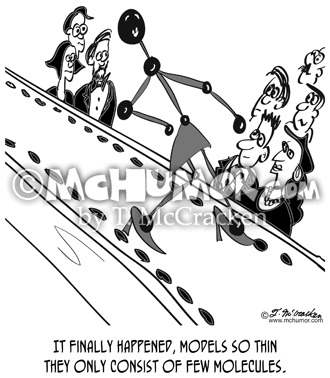 Molecules walk down a fashion show runway. 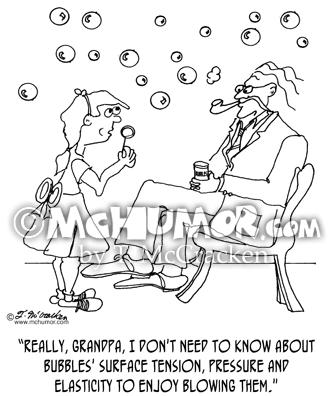 Bubble Cartoon 0619: A kid blowing bubbles says to man in lab coat, "Really, Grandpa, I don't need to know about bubbles' surface tension, pressure and elasticity to enjoy blowing them." 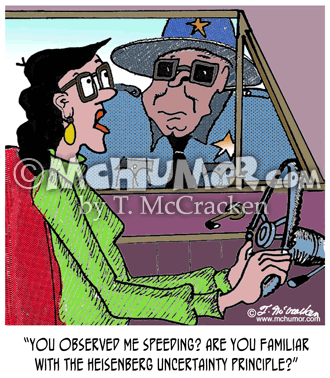 Science Cartoon 1825: A woman saying to a highway patrolman, "You observed me speeding? 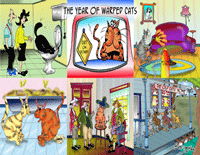 Are you familiar with the Heisenberg uncertainty principle?" 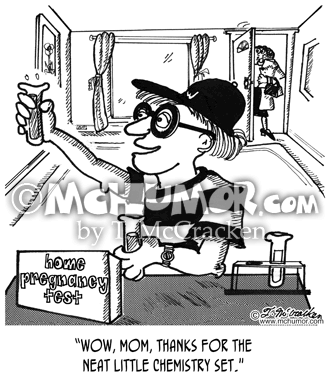 Pregnancy Cartoon 2056: A kid playing with a "Home Pregnancy Test" says, "Wow, mom, thanks for the neat little chemistry set."